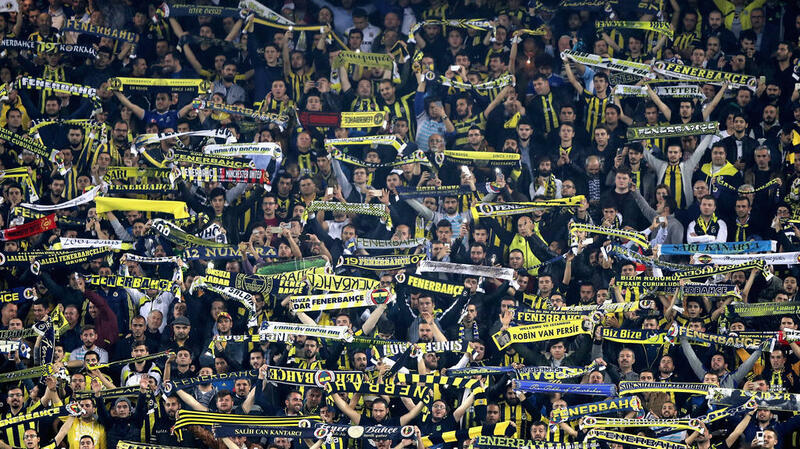 When Turkish businessman Ali Koc took over as chairman of Fenerbahce last summer, he was unpleasantly surprised to discover that the Istanbul club's debts were much higher than feared: 620 million euros, two thirds of which must be paid within a year. "The banks began to knock on the door," Koc said in July, a month after he took on the role. "I certainly did not expect to land in a rose-tinted world. But I did not expect that either." Turkey has in recent years become a favoured destination for proven, albeit declining, players from European leagues, many of whom have joined the three Istanbul powerhouses: Galatasaray, Fenerbahce and Besiktas. The incentives were not lacking: passionate supporters, a booming championship and clubs ready to do everything to become more competitive, mainly by dipping into their pockets. But this infatuation has since faded. Heavily indebted, hit hard by economic turmoil since last year, the clubs have sold or released key players since the summer of 2018 to bring in cash and cut their payroll. Galatasaray were forced to release French striker Bafetimbi Gomis -- the league's top scorer last year -- while Besiktas let go of their Portuguese defensive stalwart Pepe and Fenerbahce lost Brazilian midfielder Giuliano. "The total debt of Turkish football clubs has reached 14.5 billion Turkish lira (nearly 2.5 billion euros at the current rate)," Tugrul Aksar, a banker specialising in Turkish football economics, told AFP. "Clubs don't seem to be able to solve their financial problems on their own because there are big gaps between total revenues and expenses," he added. The Turkish Football Federation (TFF) announced a restructuring agreement on the debt owed by Turkish clubs that it evaluates at 1.7 billion euros, with 86 percent contracted by the three Istanbul giants and Trabzonspor. The collapse of the Turkish lira, which lost 28 percent of its value in 2018, has complicated matters for the clubs since they pay the transfer fees and salaries of foreign players in euros while a large part of their income is in lira, said Ferda Halicioglu, professor of economics at Istanbul Medeniyet University. The latest star to seek pastures new because of the clubs' dire financial situation is Portuguese winger Ricardo Quaresma who is looking to leave Besiktas because of delays to his salary payments, according to reports. The country's current economic situation may have exacerbated these difficulties, but the plight is in fact the result of "years, actually decades of unaccounted spending," Emre Sarigul, co-founder of the specialist Turkish Football website, said. The problem stems from a lack of transparency and impunity for club chairmen who, during their few years, bring in experienced players to satisfy fans and get results on the field, while turning a blind eye to the long-term future of their teams. But such reckless behaviour, which has led to the current disaster, could be coming to an end: in exchange for the restructuring of their debt, the Turkish clubs have committed to having a balanced budget and not to incur new debts. "What we are witnessing is the transition of Turkish football from a system plagued by mismanagement, unaccountability and a lack of vision to a more professional and organised structure," Sarigul said. But he sees a silver lining in this dire situation, pointing out the fact that it has forced the clubs to increasingly rely on homegrown talent who thus gain visibility. Since 2015, the number of Turkish players joining European teams has increased, with the likes of Cengiz Under at Roma or more recently Ozan Kabak, 18, who joined Stuttgart. A sign that they are coming to terms with reality, the three Istanbul giants have mainly resorted to loans to strengthen during the latest winter break. With no transfer fees involved, such additions allow the clubs to satisfy their fans, who want to see new players coming, without spending big. While the deal with the banks might help bail out clubs in the short term, it "has not solved their problems in the long run", warned Halicioglu, calling for clubs to be "financially audited on a regular basis" and "subjected to limits in terms of transfer fees and budget". And barring strong measures to force Turkish clubs to be more reasonable, the crisis could actually worsen, analysts warn. Daghan Irak, sports sociologist and researcher at the University of Aix-Marseille, said the restructuring deal risks giving the clubs a "feeling of immunity" by showing them that "the government will not let big clubs with millions of fans and potential voters fail".